Do you want to integrate TIFF text extractor functions into your Visual Studio .NET project? Do you need a .NET text converter for multi-page TIFF image? Are you looking for an OCR scanner library for your .NET web or windows application development? If so, try CnetSDK .NET OCR SDK. This .NET OCR scanner library can be used in C# & VB.NET programming, and widely used to extract text from TIFF images (with multiple pages). 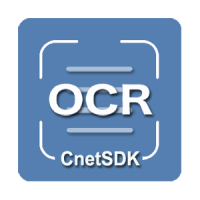 CnetSDK .NET OCR SDK is developed and optimized based on the Tesseract OCR Engine. This .NET OCR library can easily and accurately detect and recognize text from TIFF file pages. This multi-page TIFF OCR software also works as a .NET TIFF to text converter & extractor that extracts and converts TIFF to text. Also, CnetSDK .NET OCR scanner library will automatically implement image pre-processing (like deskew), which improves the accuracy of multi-page TIFF image OCR. Please note, if you are using free OCR scanner library trial in VS .NET web or windows application, the first character of TIFF text will be extracted and recognized as "CnetSDK*". Certainly, the licensed package of CnetSDK .NET OCR SDK will OCR TIFF text fully. After downloading CnetSDK .NET OCR SDK, please add OCR library dll into your C#.NET project. Then copy the following C# sample code to have a quick evaluation of our multi-page TIFF OCR scanner & extractor. It illustrates how to extract and OCR text from TIFF image (all TIFF file pages). 1. OCR language of this C# sample code is English. If you want to recognize other languages, please download the respective OCR language data. 2. In the downloaded package, you will find our .NET TIFF OCR scanner dll is prepared respectively for x86 and x64 platforms. Please use the suitable .NET OCR scanner libraries for your C#.NET project. If you choose the x64 platform, please copy "CnetSDKOCR_Lept.dll" and "CnetSDKOCR_Tesseract.dll" from x64 folder to the same path of "CnetSDK.OCR.Trial.dll". For the x86 platform, please do the same thing. // Specify the language of the text that will be extracted from the TIFF image. // Recognize and extract text from TIFF image (all TIFF file pages). // Show text from each TIFF file page. Our multi-page TIFF image OCR library dll can also be used in VB.NET programming. And the following VB.NET sample code can be tested in your VB.NET TIFF OCR application.
' Create an instance of OCR engine.
' Specify the absolute path of tessdata.
' Specify the language of the text that will be extracted from the TIFF image.
' Recognize and extract text from TIFF image (all TIFF file pages).
' Show text from each TIFF file page. Besides multi-page TIFF image text OCR tutorial, we also offer online tutorials for other images OCR and zonal OCR. Please refer to the following online pages.